On 10th June 2011, Justice John Logan ruled that WBBCC must pay costs incurred by Burnett Water Pty Ltd during the legal Case WBBCC v Burnett Water Pty Ltd. As a result of this Federal Court Ruling, the WBBCC Executive committee made a decision to cease financial operations as of 11/06/2011 pending the outcome of the costs order and subsequent demand for payment. The Summer Edition of Wambaliman Magazine is available for viewing in colour (finally!!!!) in the Wambaliman page. Apologies for the delay. WBBCC firmly believes that the launching of this case, had an impact on his decision and ultimately the continued protection of the Lungfish from large scale impoundments on the Mary River. So the time has come to prepare ourselves for the decision. We will accept Justice Logan’s decision whatever it may be, knowing that regardless of whether we win or lose, this action has had an enormous impact on the protection of the QLD Lungfish in the Mary River and highlighted the fact that Environmentally Conditioned Approvals do not necessarily ensure that the company responsible will always adhered to the approval conditions unless someone throws the book at them. The best case scenario resulting from this legal action will be that the Lungfish is adequately protected in the Burnett River by being given the right to safely gain access up and downstream of Paradise Dam to ensure their survival. How this occurs will be up Justice Logan. Either way, WBBCC will stand proud of what we have achieved because we gave it our best shot! QLD Government deems UCG trial in Kingaroy too risky! WBBCC would like to commend Minster Jones on her decision to close the trial Underground Coal Gassification (UCG) plant in Kingaroy after contaminants were found in groundwater on rural properties adjacent to the plant last year. UCG is simply to risky and it is very pleasing to see the Department of Environment and Resource Management recognise this. The QLD Conservation Sector is calling on the Government to Ban UCG, New coal fired power stations and coal mines and place a moratorium on Coal Seam Gas until it can be proven that it has no impact on the environment. Ingenero, the renewable energy partner for The Fraser Coast 1000 Solar Roofs Challenge, has donated $5000 to The Premiers Flood Appeal and has launched a free damage assessment for solar PV systems to flood affected authorities and householders who have recently been affected. “Ingenero will assist authorities and households by sending an accredited installer on-site to assess damage to flood-affected solar panels and inverters. This service is available to Ingenero customers and non-customers alike where Ingenero has geographic coverage” Ingenero CEO Mr. McRae said. Residents of the Fraser Coast and Bundaberg who have a grid connect solar PV system and have been affected by flooding will be eligible for a free damage assessment of their system, whether Ingenero installed the system or not. This has been made possible via the geographic presence Ingenero has in this area through The Fraser Coast 1000 Solar Roofs Challenge. In addition to this, Ingenero has also pledged to donate up to $150* for all systems sold before June 2011. “This means that anyone who wishes to participate in the challenge before 30 June 2011, will have made an indirect donation to the Premiers Flood Appeal, which will contribute to the rebuilding of QLD”, said Miss Currie. 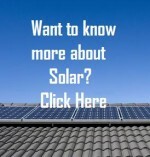 * Large solar system: over 3.2 kW; small solar system: 3.2kW and under. The Esplanade Business owners, a handfull of locals and the regions largest newspaper, The Fraser Coast Chronicle (FCC), have been lobbying the Fraser Coast Regional Council (FCRC) to ‘tidy up’ the foreshore of Hervey Bay as they feel it is bad for business and looks untidy. The editor of the newspaper, Peter Chapman, took the lobbying one step further and conducted a survey in the paper asking residents whether they thought the foreshore should be ‘tidied up’? This move in itself is not concerning as newspapers frequently run surveys and polls, but this editor took the survey to the FCRC and demanded that they take action because the results were in favour of a clean up. 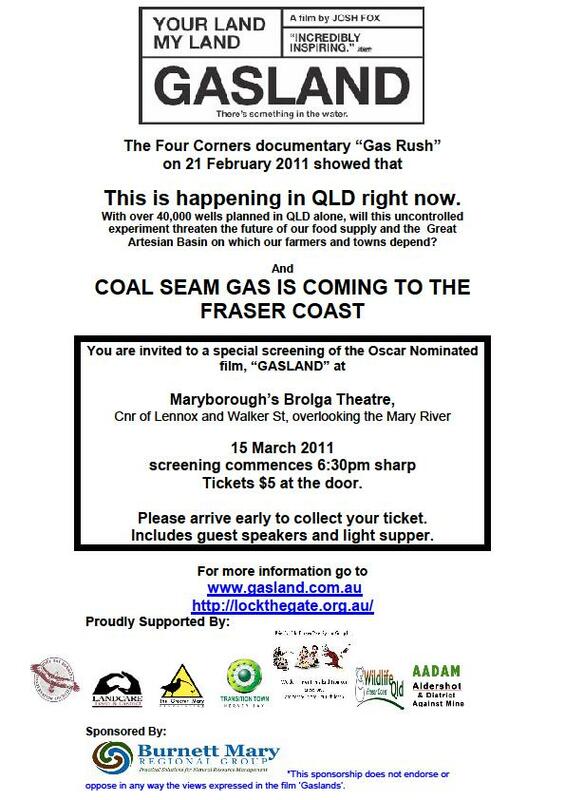 It is not the Fraser Coast Chronicles place to apply pressure to a regional council to do anything. The media’s role is to report on an issue and to do so unbiasedly and to clearly demonstrate both sides of the argument. Media is bound by a code of conduct, as is most industries in today’s societies, and the FCC may well be in breach of their code by continuously reporting in favor of developers and now by attempting to apply pressure to the FCRC to clean up the foreshore. The foreshore is already very ‘park like’ in many places with adequate recreation areas, clear views to the ocean and provides clearly signed designated access to the beach. The FCRC is already struggling to maintain the park like areas as there is a massive amount of grass to mow, weed and garden beds to tend. The FCRC has increased the surface area that is sprayed with weed killer tenfold in the past few years in an effort to keep up with the every increasing responsibility to maintain these areas. This in itself is not good for the foreshore, so it is logical that an increase to park land along the foreshore, will incur and increase of the application of poison and a lot more grass to mow. From a conservation perspective, the WBBCC believes the foreshore should remain as it is. We are fortunate to be one of the few coastal towns in Queensland that has left some foreshore as a buffer against erosion, storm surge inundation and salt spray and we should not consider altering this balance any further just because a few businesses think it should occur. They aren’t proposing that we remove the vegetation all together, but that we remove weeds, branches and low lying shrubs to achieve the ‘parkland look’. What they don’t understand is that although the understory, dead branches and climbing vines might look untidy to the perfectionist eye, it is providing essential protection against accelerating the speed of erosion, wind gusts and acts as a buffer against some flooding. The less vegetation there is on the foreshore, the faster the rate of erosion will occur and during extreme tidal movement, areas that are only grassed will tear apart significantly faster that areas that are densely vegetated. Great Sandy Biosphere Tainted By Donations From Coal Company! ‘The Great Sandy Biosphere’ was officially declared as the worlds 15th Biosphere reserve in May 2009 by the United Nations Environmental, Scientific and Cultural Organisation (UNESCO). The objective of the Great Sandy Biosphere reserve is to give world recognition to our outstanding natural beauty and high levels of biodiversity in the region as well and encouraging conservation and sustainable development. These workshops were advertised as being supported by ‘BMRG’, ‘University of QLD’ and ‘Bundaberg Sugar’, however it was announced at the workshop in Maryborough on Tuesday 26-10-10 that they workshops were financed by donations from Bundaberg Sugar and The Northern Energy Corporation, the Mining Development Firm responsible for the proposed Colton Coal mine north of Maryborough. Northern Energy Corporation (NEC) proposes to extract 500,000 tonnes of coking coal per annum from the site located a mere 2.5km from the town of Aldershot and plans to discharge contaminated water into the Mary River which flows directly into the Great Sandy RAMSAR Wetlands in the heart of the Great Sandy Biosphere. When contacted, the BMRG confirmed that NEC had donated $5000 towards the costs of facilitating the workshops and that BMRG had in fact approached NEC and asked for a donation. Bundaberg Sugar and Hyne Timber have also donated $5,000 each towards the project. WBBCC Coordinator Miss Emma-Kate Currie was outraged to learn that the workshops are being funded by companies that undertake activities that are damaging to the environment and was particularly concerned that BMRG had approached NEC for donations yet failed to disclose this information on the workshop fliers.